I’m not that big of a fan of Hot Wheels or other die-cast cars, so it’s kind of funny that I’ve spent so long scanning the toy aisle for them in the past months. 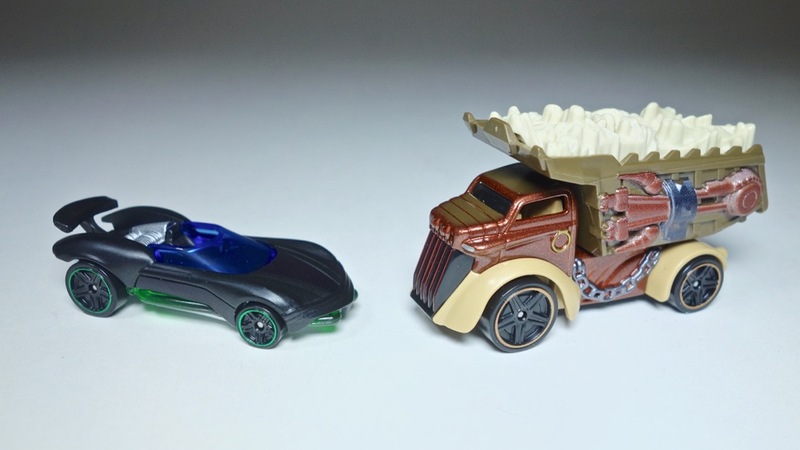 I do kind of like their Star Wars line, but it’s the fact that I have had so much trouble finding certain cars that keeps me looking for them — almost out of spite. I think part of it is that the shelves of my local stores are already so clogged with Hot Wheels stuff that isn’t selling that they are reluctant to get new stuff in, but that’s not everything. In any case, these two-packs have only just started to appear in stores and are also pretty hard to find, with the Jabba vs. Han in Carbonite one in particular being quite pricey on eBay. Luckily, I managed to get this on Walmart.com for retail price (now sold out) thanks to their feature that emails you when something comes in store. 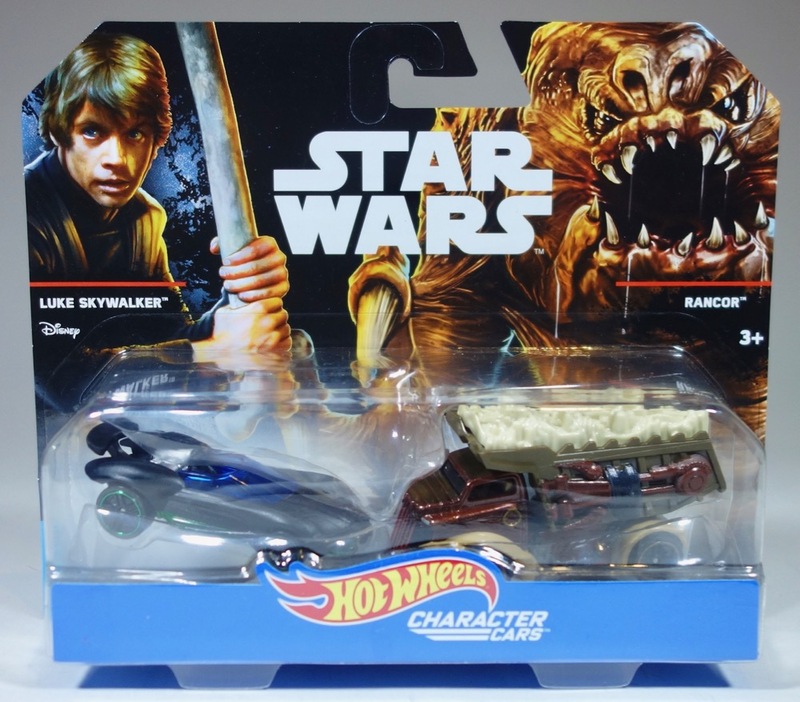 I think that may be the first time a feature like that has actually paid off for me… As with the Jabba car, I believe the artwork on this set was done by Ken Christiansen. 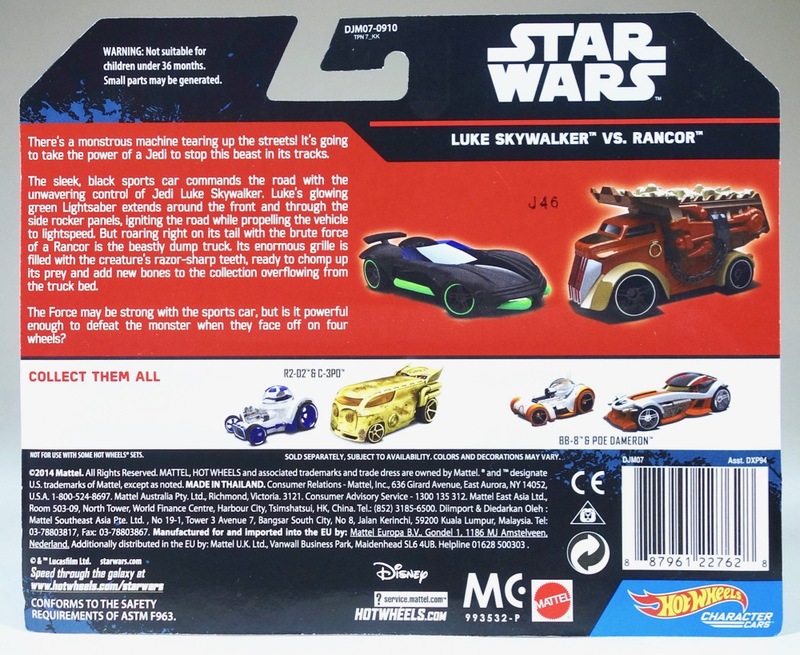 Mattel also released a Jedi Luke car in the “Throne Room Race Track” set, but I believe that was a different design, using the “open chest flap” version of his outfit, while this one is reminiscent of his Jabba’s Palace outfit. The rancor dump truck is pretty readily recognizable as the rancor, with a front grille that really looks like the monster’s face, a shackle and chain on the sides, and of course his trademark earring. The bones in the back actually come out, and the back does move like a dump truck. 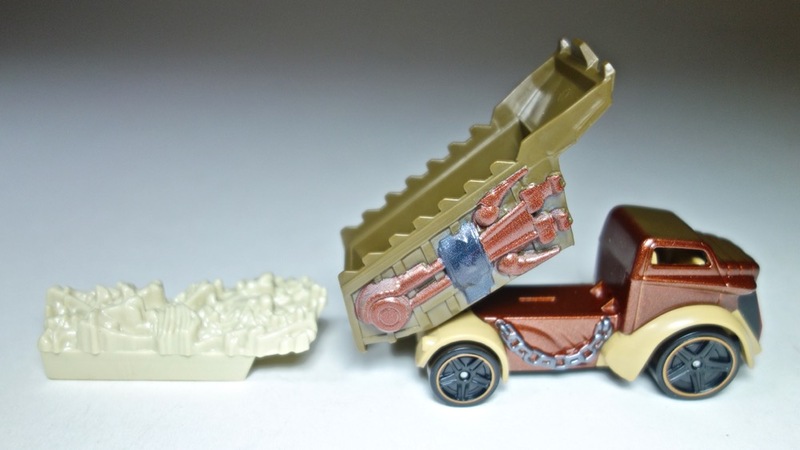 Only the brown part of the lower vehicle is metal — everything else is plastic. I’m glad I was able to pick these up to go with my Jabba car, and I hope to find the Jabba/Han two-pack at a reasonable price soon. I wonder if any other Jabba’s Palace characters are on the horizon…? By the way, I unbox these cars and give a closer look in the YouTube video below, so check it out if you’re interested.